Carrot vegetable belongs to Apiaceae family and it is categorized as a root vegetable. Carrots are scientifically classified as Daucus Carota. Carrots are one of the most widely used vegetables in the world. Carrot is crunchy, aromatic and sweet. There are more than hundred species some are small and some are big and they come in a variety colors such as red, orange, white, yellow and purple. Now, orange color carrot is the most available. The Native of carrot is Europe and Southwest Asia. Carrot has many medicinal and health benefits and it is rich in beta-carotene, fiber and antioxidants. You can make with carrot many recipes such as salads, soups, side dishes and more. Carrots are good source of beta-carotene, lutein and alpha-carotene. Daily consumption of carrot reduces the cholesterol levels; cholesterol is a major cause of heart diseases. 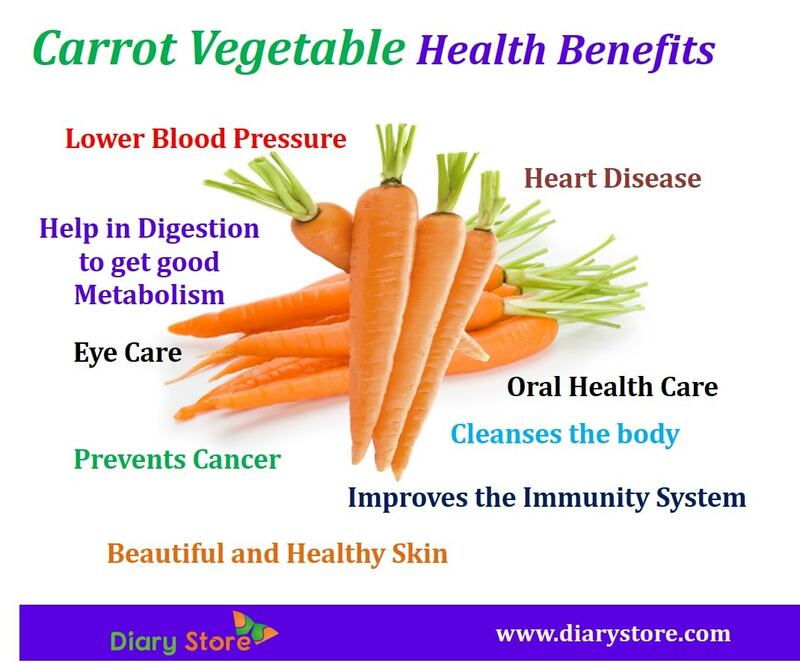 So daily consume carrot and keep your heart healthy. Carrots are rich in beta- Carotene and fiber which helps to reduce the risk of lung cancer, colon cancer and prostate cancer. Carrots contain high amount of beta-carotene. Beta-carotene convert into vitamin A. Deficiency of Vitamin A causes difficulty seeing in dim light.Carrots are protecting against macular degeneration, cataracts and help to improve your eye sight. Powerful antioxidants are present in the carrot. Carrot helps clean mouth and teeth; it removes plaque and food particles and prevents tooth damage. Deficiency of vitamin A causes dryness to the skin, nails and hair. Carrots has good source of vitamin A it protects the skin from sun damage and prevents acne, dry skin, pigmentation and blemishes. 3. Which Are The Vegetables Good In Cooked or Raw? Carrot vegetable contains vitamin A and fiber which reduces the bile and fat in the liver and flushing out the toxins from the body and clean out the colon. Carrots are the good source of dietary fiber. Fiber is one of the important elements in maintaining good digestive health and also reduces the severity conditions like constipation and protects colon and stomach from various illnesses. 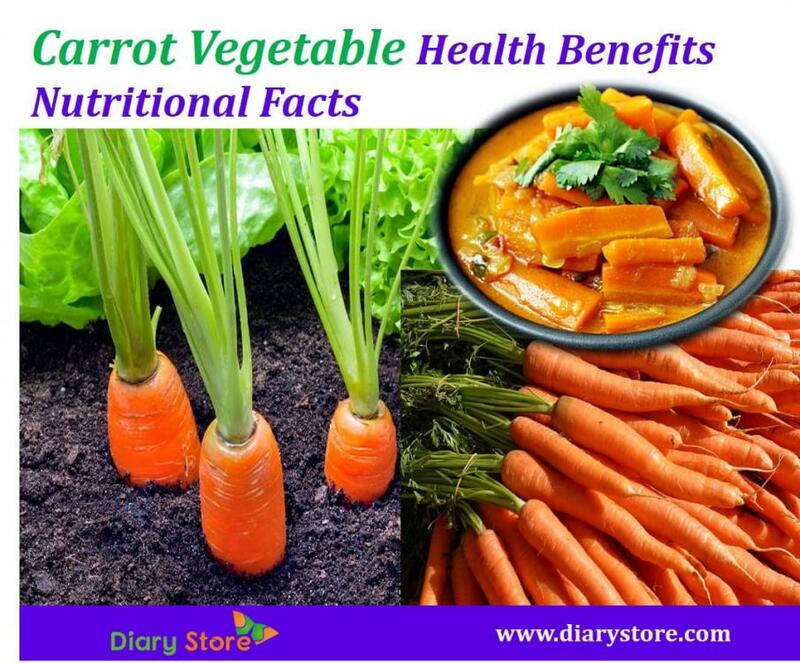 Carrots vegetable contain vitamin C. It protects from cold, cough and other infections and improves immunity system. High amount of potassium present in the carrot. Potassium helps to increasing the blood flow and circulation and reducing the stress on the cardiovascular disease.